Wenger preparing bid for Dutch striker | The Transfer Tavern | Where football transfer rumours fly or die! There’s much excitement in the Football Transfer Tavern after James Boylan from Metro arrives with news that Arsene Wenger is ready to offer £4 million to bring Klaas-Jan Huntelaar to Arsenal in January. Huntelaar has just six months remaining on his contract at Schalke and he can leave for a Bosman in the summer so the German side may be ready to cash in on their star frontman. Boylan reports that Wenger is going outside his usual prudent approach by forking out £4 million for the former AC Milan and Real Madrid striker. 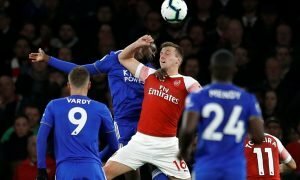 The Dutchman, who has scored 58 goals in his last 68 Bundesliga games, could be the answer to the striking problems at the Emirates Stadium after a disappointing start in the league and in Europe. The stuttering North London side have greatly missed the goals of Robin van Persie after his summer departure to Old Trafford with summer signing Oliver Giroud still coming to terms with the Premier League having only managed five goals in all competitions. 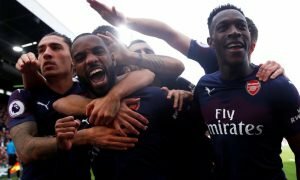 The 29-year-old has already given Gunners fans a taste of what they are missing by netting in both games against the Premier League side during this year’s Champions League group stages. Would paying £4 million for Huntelaar be a wise move by Wenger? Vote in our polls below.